This post is by Justin Short, CEO and Founder of Nous. Hi! 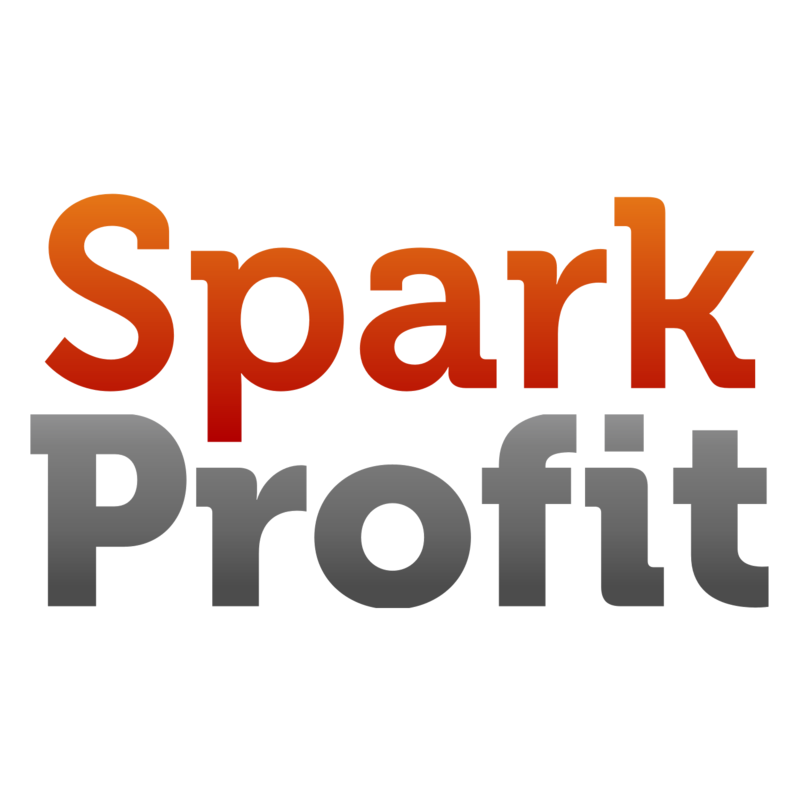 I wanted to explain why we built Spark Profit and why it’s so special. So let me start with a bit of personal history. Before I and four very smart people quit our jobs to found Nous together, I was working at a large Investment Bank as Regional Head of Electronic Trading Strategy. I’d been working in that industry for 14 years and judging by my performance reports, I was pretty good at it. So why quit? One of the reasons was that I saw an unbelievably huge opportunity – not just for me but for literally millions of people. Working in the financial markets, I knew first-hand how important technology and quantitative skills are to trading profitably. After all, I commissioned and built strategies that helped our customers shave valuable basis points from their costs, improving their efficiency and ultimately benefitting their customers, the public. But I also saw that human intuition was still very much alive. Certain colleagues at all the financial firms I have worked at: UBS; Deutsche Bank; and Merrill Lynch / Bank of America, were fantastically good at understanding the rhythm of the market. They could sense when the tide was about to turn, and make a lot of money by being one of the first to jump in and by riding the movement all the way. They naturally understood the psychology of the market. I have a lot of respect for these people. But one thing bothered me. They were to some degree all from a common mould. They were all university graduates, mostly male, all speaking English. They were comfortable wearing a suit and living in the city. Of course, they’d all made it through interviews with similarly demanding firms: they had to fit a mould. But was all that really necessary, in order to be a great trader? I didn’t think so. Not at all. Which begs the question, how many other people never got the chance to find their calling, just because they failed to fit the mould? When I had my Eureka! moment, I found a way to connect everyone in the world to the markets and give them the right tools and incentive to win, without requiring anything from them in return. That is Spark Profit. Of course, I was happy that the system would be profitable for us, the creators. But I was ecstatic that at the same time it would be such a tremendous force for equality. Unlike Investment Banks, Spark Profit doesn’t care where you are or what you look like. Spark Profit doesn’t even mind if you have another job! A world in which millions of people are living richer, happier lives thanks to their talents and our assistance. Nous was the first company in the world to truly make trading free — and then even cheaper! Only Spark Profit offers you, and everyone in the world, a chance to test and refine your trading talents, while guaranteeing a skill-based payout that requires no payment and no deposit. We’re incredibly proud that we’ve never taken a single penny from any of our 80,000 players and yet we’ve already been able to award $60,000 in prizes. We’re delighted to announce that Neha Reiss has joined Nous as a consultant advising on strategy, business development, funding and general operations. Neha joins us in the UK from Quantifeed, a Hong Kong based fin-tech startup where she held a joint CFO and COO role. At Quantifeed she led the fund raising efforts, worked on business development and was instrumental in setting up the finance and operations infrastructure. Before Quantifeed, Neha spent a 15-year career in international investment banking, most recently as Liquidity Project Manager in Hong Kong for Nomura. She has also worked in Risk Analysis and Management for Merrill Lynch both in London and Hong Kong, and began her banking career as a Treasury Analyst at Lehman Brothers in New York in 1997. Here at Nous, Neha will take the lead on financial operations – financial projections, financial reporting, payroll, payables, receivables and liquidity planning. She will also play a key role securing expansion capital and developing commercial relationships with hedge funds and other customers for Nous’ data feed products. We are absolutely thrilled to have Neha’s experience added to the bench as we move into our next stage of growth — more on that very soon! Everyone loves Tetris! Of course they do – it’s a fun, intuitive game and the simple interface and quick feedback get you playing in no time at all. Play for long enough though and you’ll find yourself in a strange trance. Your brain turns into some kind of Tetris machine: in your mind’s eye you’re packing together everything around you; you see the tetrominoes fall down behind your closed eyes just before you sleep. But no matter how much you’ve played, I’m sure you’re not as good as the person in the video below. The action starts off reasonably fast but the pace keeps building and by 4 minutes it’s quite amazing (if you’re in a hurry you might want to skip straight to that bit). However the part you really must see is 5 minutes in. When the game “finishes” the credits start scrolling – and a secret mode starts: Invisible Tetris! Honestly, it makes me proud just to be the same species as the player. It may not be the most useful skill in the world but those talents are so far beyond mine that it seems super-human. Aren’t these kinds of feats uplifting? How wonderful that we can do these things! One more example, this time of a relatively new competition called “Flash Anzan“. This is really just mental arithmetic: 15 numbers are flashed up on a screen, each between 100 and 999, and you just need to add them up. The question is, how fast can you do it? Go on, have a guess. 15 numbers – twenty seconds? Ten? Five? Humans can add fifteen 3-digit numbers in 1.8 seconds. That’s 0.12 seconds per number – faster than the blink of an eye! The numbers change so fast I cannot even read them all (perhaps youtube or the original camera doesn’t help but still, that is a sign of how extraordinarily fast it is). Aren’t our brains wonderful? Now for a thought experiment. Imagine if you could be paid to play Tetris, but only by working at a large firm. The firm requires all employees to speak English and have a Bachelors degree or higher. In addition you need to pass some pretty tough interviews which are designed to check that you’ll “fit in”. Do you think that this is the optimal hiring method to find the world’s best Tetris players? We certainly don’t. It’s remarkably similar to what Investment Banks and Hedge Funds do though, for the skill of trading. That is why we built GAIN, our free game of market prediction. Just as anyone can play Tetris, anyone can make a prediction. Also like Tetris, we’ve spent a lot of time making GAIN as accessible and intuitive and fun as possible. You can pick it up for a minute, then come back minutes, hours or even days later and continue playing. Unlike the firm in the thought-experiment above though, Nous doesn’t care about your background. We don’t care how old you are. We don’t care when or where you choose to play. We don’t ask you to fit in with anyone’s expectations, except your own. What we care is that you have as equal chance to win as everyone else who plays. By making GAIN available to everyone, we believe that we will find the world’s best predictors. We will find the people whose intuition seems to be a super-human ability, just like in the videos above. People whose first step on the path to excellence was simply seizing the opportunity. People like you. We’re delighted to be able to introduce the fifth member of our team, Mick Horgan. He has 15 years’ experience in web and server-side development, in Investment Banking, Telecoms and other industries. Mick’s skills will be perfect to help us make sure the app works on as many devices as possible. He’ll also be helping scale the server side and build some features we’ve been wanting to add for a long time. Mick is based in the UK. One of our goals when creating Nous was to build a distributed company that could hire employees from any location and support employees working from any location. We already have two offices in Asia and things seem to be working great so far, so this was a good opportunity to make sure the model can expand further. Mick: welcome to the team. We hope you enjoy it as much as we do!